Olive oil is one of the most beneficial natural products and is known to have very high nutritive value since its discovery about 5,000 years ago. For centuries, a gift of olive oil was a welcome treasure. Uses of Olive oil are many and it is so versatile that it can be used both internally and externally. Health benefits of olive oil range from promoting better digestion, stimulating metabolism to lubricating mucous membranes and as olive oil is full of vitamins, minerals and proteins. Including olive oil in your diet can lower your risk of developing heart disease, lower your levels of bad cholesterol and lower your blood pressure. It may also be a beneficial addition to your beauty regimen. The antimicrobial properties in olives and olive oil help to combat the bacteria responsible for causing stomach ulcers. Studies have shown their high levels of polyphenols protect against eight strains of ulcer-causing bacteria, three of which are resistant to some antibiotics. Slather on olive oil before braving the sun it’s rich in Vitamins A and E, and locks the moisture in your skin while protecting you from UV rays. According to Leslie Baumann, M.D., author of The Skin Type Solution, eating olives and olive oil can actually promote healthy skin. Olive oil contains a minimum of four different antioxidants, which can help "neutralize damaging free radicals that can lead to skin aging and skin cancer." Baumann writes that in studies mice that were given extra virgin olive oil developed less skin cancer after exposure to UV light. One of my favorite homemade face masks with olive oil is this: mix one egg yolk with one table spoon of olive oil (if you want, add a teaspoon of lemon juice, it will help whiten and brighten the skin, as lemon juice is rich in antioxidants and especially vitamin C). Apply this mixture on your clean face for 5 -10 minutes; rinse with warm, then cold water (cold water will help to close pores). This olive oil homemade face mask can be used for normal or dry skin types, it will nourish and soften your skin, adding a wonderful glow. Here is a cleansing and refreshing olive oil face mask for normal skin type: mix 1 table spoon of white cosmetic clay with 1 table spoon of olive oil. Apply it to your face for about 10 minutes; rinse with warm water. If you're wary of taking antibiotics because their usage can increase the risk of superbugs there may be an antimicrobial, antibacterial remedy right in your kitchen pantty. Unrefined olive oil may help treat microbial skin infections. In fact, a mixture of olive oil, honey and beeswax appears to be a successful treatment for a variety of skin conditions including eczema, psoriasis and diaper dermatitis (diaper rash). The mixture has also shown useful against the Staphylococcus aureus (staph) bacteria, and possibly against Candida albicans which causes yeast infections. Alone, olive oil itself has shown it has an antibacterial effect against bacteria, including not only staph but E. coli, Listeria and other foodborne pathogens. Say goodbye to those ugly looking stretch marks on your body with olive oil. Olive oil helps the skin to regenerate as well as increases the elasticity of the skin. This not only helps in preventing stretch marks from coming back but also helps in lightening the ones that are present. Start using olive oil for hot oil massage on the affected areas thrice a week and notice the change. Olive oil is my favourite body lotion! (I don’t buy body lotions and body creams any more, because I found the one that is very efficient and all natural). I love to apply olive oil all over my body, while in the shower (right after I used the shower gel); after the olive oil body lotion my skin feels baby soft and very smooth! This simple beauty secret is a very quick and easy way to make your skin look/feel healthy and tender to touch. Good blood circulation is essential to provide natural glow to the skin. A weekly olive oil massage will not only enhance the blood circulation but also help in keeping your skin young and moisturised. You can also use olive oil as a carrier of other essential oils. Just heat olive oil and your favourite essential oil for a few seconds, making sure that you don’t burn the olive oil and give your skin the pampering it needs. Extra virgin olive oil massage is perfect for dry nails and cuticles. Instead of using a hand or a cuticle cream, rub a few drops into the cuticle area and around the nails. Regular usage ensures that the cuticles stay moist and nails remain shiny. Since it is known for its distinct flavour and taste, it can be consumed in many ways to avail the goodness of olives or its oil. Olive oil facilitates overall digestion and absorption of nutrients, along with crucial fat-soluble vitamins. Olive oil is best and can be used in many different cooking ways, like sautéing, stir frying, marinating, or in bread dip. Olive oil only coats, and not penetrates, so foods fried in olive oil are less greasy than foods dried in any other oil. Mediterranean cultures have long revered the olive and its oil, with good reason. An Italian study found that a diet that included olive oil along with plenty of leafy vegetables and fruit resulted in reduced rates of coronary heart disease in women enrolled in the study. Over time, cells oxidize, leading to the common effects of aging. A specific polyphenol in olive oil is especially effective at protecting your red blood cells from oxidation. A 2009 study identified this component as DHPEA-EDA. Drink the oil to treat smelly breath with a pleasingly fairly sweet odor. Additionally, it helps with digestion, therefore is very easy on the stomach area when consumed immediately. Because it is by far the most nutrient-rich form, you'll reap the very best advantages from this beauty advice when you decide to make use of extra virgin olive oil with regard to the facial area, hair as well as nail care. The Mediterranean Diet has been proven to be one of the healthiest in the world. Some consider it the healthiest. 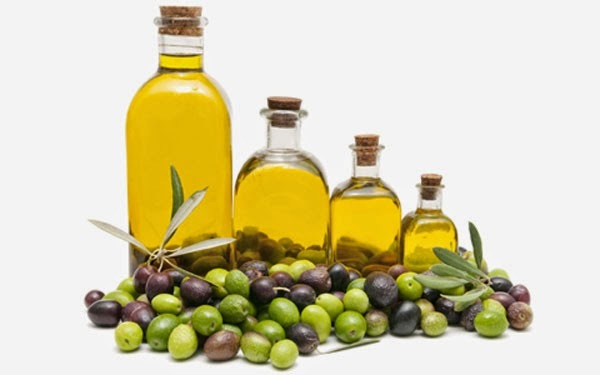 Olive oil has always been an integral part of the Mediterranean Diet. Although red wine and lots of fish, whole grains, fruits and vegetables also play a huge part in the diet’s success, scientists agree that it wouldn’t be nearly as beneficial without olive oil. Research has suggested that people who consume olive oil regularly are less likely to suffer from memory loss, when they get older. It has even been suggested that olive oil can reverse some of the effects of Alzheimer’s disease. Luscious locks could be yours with a simple, homemade deep conditioning treatment – a beauty practice spanning centuries. Warm oil treatments at the salon are costly, but gently warming a small quantity of high quality extra virgin olive oil before applying it to your hair and scalp achieves great results. Take care not to overheat the oil: test the temperature by dabbing a tiny amount on your skin first and allow the oil to cool as necessary. Leave it on for a short time before shampooing and conditioning as usual. Prepare for the onslaught of compliments about your super soft, shiny hair. Your lips are thin-skinned, and that thin skin leaves them prone to drying out or becoming chapped when they're exposed to cold weather, dry climates, sun, wind and even something you might not notice you're doing: breathing through your mouth. When you're caught without your favorite lip balm there's a quick and easy solution at hand -- apply a light coating of oil to your lips a few times a day to heal the damage and give you smooth, soft lips (especially helpful overnight). Olive oil can also be used as a gentle exfoliator by mixing it with a pinch of sugar and rubbing the paste on your pucker. A word of warning to those prone to breakouts: Olive oil is a good moisturizer but because it's an oil, it may cause breakouts or some irritation around your mouth. Olive oil has antioxidants and good fats which help get rid of the free radicals and also heal the skin. So if you have irritated skin or sunburnt skin then massage it on the affected area.